Bank of Bermuda Foundation, an independent philanthropic organisation, reports funding over 2.5 million dollars in grants to local non-profits so far this year, at the end of the third quarter grant giving cycle. 2018 Grants are being awarded for the very first time under the Foundation’s new Theory of Change and Vision for Bermuda that ‘All people in Bermuda are healthy, independent, financially secure and connected to community, with equitable opportunities for all’. 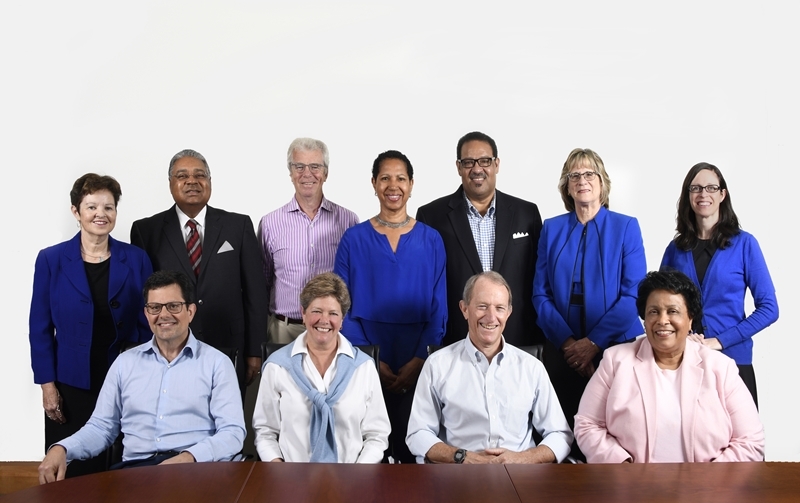 Bank of Bermuda Foundation board, from left, front row: Tim Marshall; Margaret Hallett, deputy chairman; Tom Conyers, chairman; Annarita Marion. Back row, from left: Joy Pimental; Dennis Tucker; David Lang; Debbie Jackson; Craig Tucker; Judy Doidge; Kim Pratt, secretary. Missing are Phil Butterfield and Mary Hayward. Applicants are asked to please note that Tier Three grant requests, those over $25,000, will now be accepted for review three times a year instead of four. Deadlines for next year are now: January 31, May 31 and September 30, 2019. The remaining Tiers for grant requests continue as before with Tier One grant requests, up to and including $10,000, accepted year-round and Tier Two grant requests, from $10,001 to and including $25,000, accepted on the 15th day of each month. Letters of Intent [LOIs] are accepted by the Foundation for grant requests over $25,000 from new grantees or for grant activity not currently funded by the Foundation. The LOI is a brief over-view of a project that will enable the Foundation to ascertain if it is within its mission and budget. The next deadline for LOIs is December 15, 2018. Tom Conyers, Chairman of Bank of Bermuda Foundation, is very satisfied with the progress the Foundation has made thus far, “We’re extremely pleased with the way our Theory of Change has helped sharpen our thinking around our grant decision making. The change in deadline for grants over $25,000 allows non-profits more time to meet with the Foundation’s Programme Consultant, Vivien Carter, either before or after applying for a grant, to improve their opportunity for success. Ms Carter guides an applicant through the process of the online application and assists in understanding the Foundation’s criteria to create a greater chance for a successful application. To read more about the Foundations Theory of Change, Focus Areas or view its Grant Making history to date, please visit its website. Interested In Learning About Running A Charity?